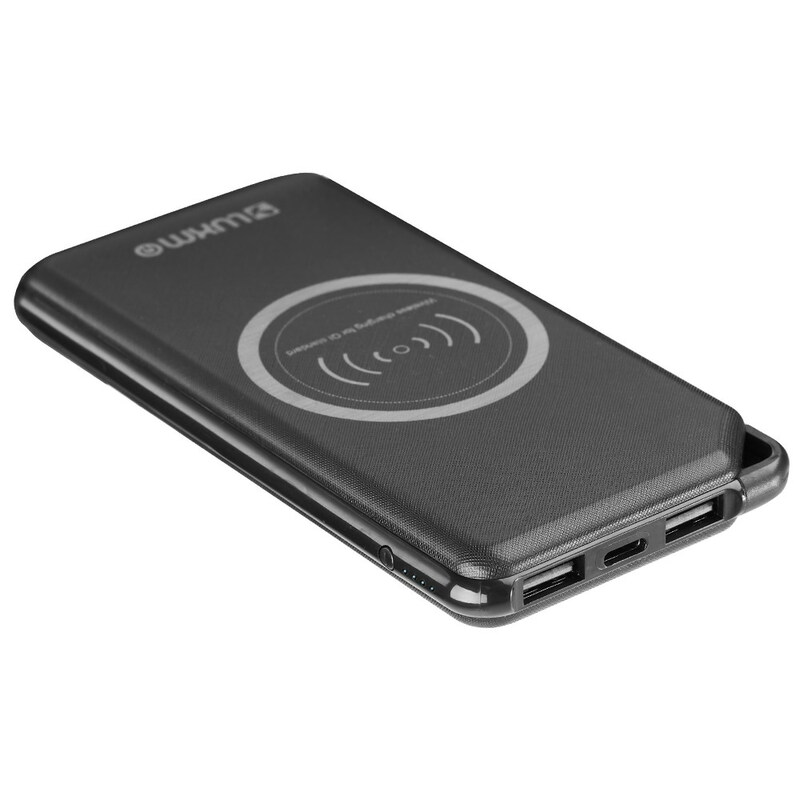 SUPER NICE Design:Wireless Charger with Rechargeable Battery Integrates a high-power Qi wireless charging transmitter and a large-capacity rechargeable battery; works as a Qi charging pad or a power bank on the go. Can charge up to 3 devices simultaneously. SUPER STRONG FUNCTION :Smart USB Ports Each of the two USB ports automatically detects optimal charging speed for Android or iOS devices at up to 2.1A. Intelligent protection against overcharge, overheat, or short circuit." ?Four way to charge? : Wireless charging+ USB charge + Micro usb input + Type-C input.